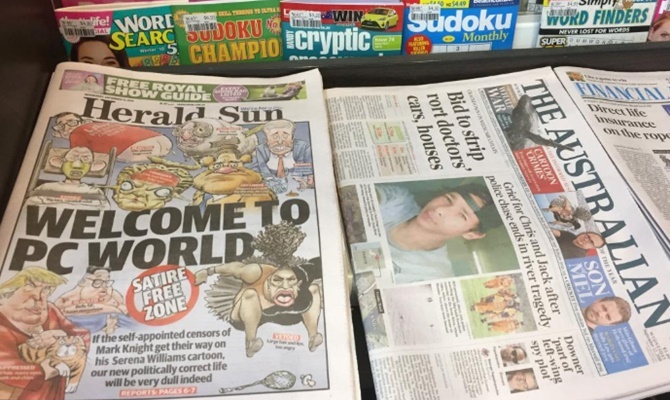 An Australian newspaper defied international criticism and allegations of racism on Wednesday when it reprinted a controversial cartoon on its front page depicting US tennis star Serena Williams having a temper tantrum at the US Open. 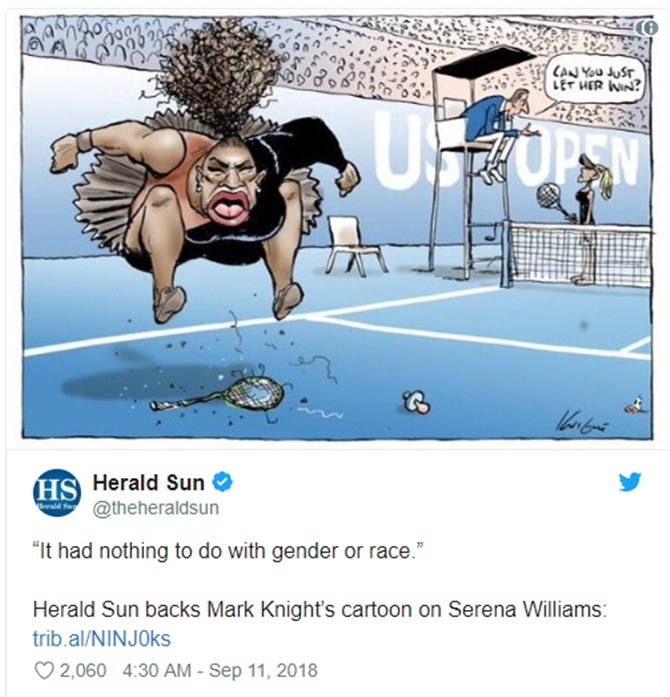 The Herald Sun, owned by News Corp, first published the caricature of Williams with exaggerated lips and tongue and curly hair rising from the top of her head as she stomped on her tennis racket on Monday. The cartoon fuelled a global debate over Williams’ controversial defeat by Japan’s Naomi Osaka in the US Open women’s singles final in New York on Saturday. The incident has split the tennis community. Novak Djokovic, the US Open men’s champion, criticised Ramos, while Court backed the use of the code violation penalty.